Registration is now open for season 2019! The Redbacks FC Committee is pleased to welcome players existing and new to season 2019. We look forward to you joining us for a year of enjoyable football !! Registrations are now open and all the details you need are below ! Additionally our annual registration day is being held at Home Ground “View Street” on Saturday 2nd February 2019 from 9am – 11:30am. 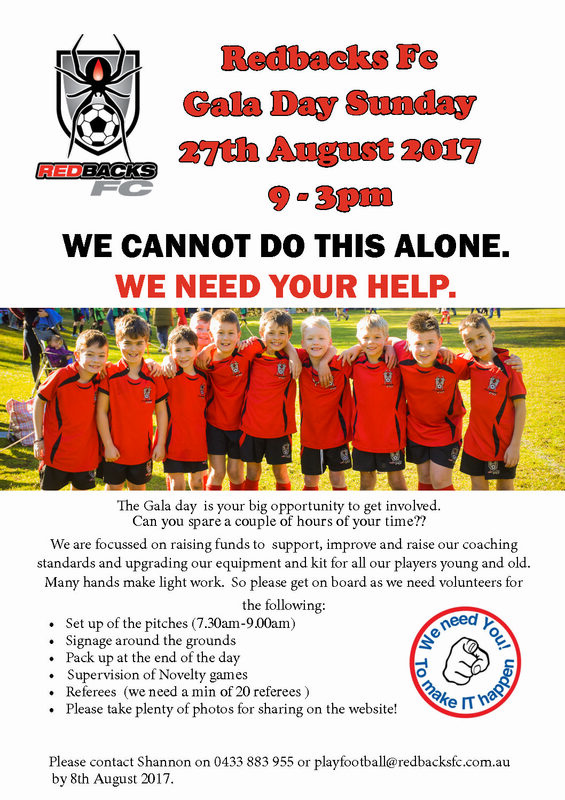 For anyone new to the club that has questions and/or would like to meet the Redbacks Committee please do not hesitate to come on down. Review your order, if you need to modify your product selection or details, select ’Modify’ in the appropriate section to do so. Historical Day for Redbacks Women’s Soccer! Our Redbacks Girls team has finally been allocated a home game at View Street this Sunday 27/5. We would love to create the atmosphere that we have on Saturday for the girls and show the Women’s association that we need to play more games at View street to attract more women to our Great club. So please come down for your morning coffee/breakfast and support our girls. Come and celebrate an awesome season with us! Save the Date – Sunday 27 August! 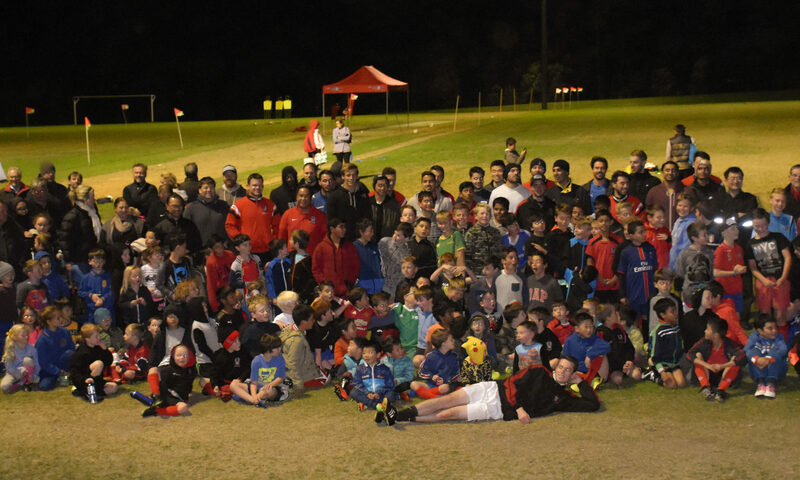 Redbacks are focussed on raising funds to support, improve and raise our coaching standards and upgrading our equipment and kit for all our players, young and old. In support of this, Redbacks FC will be holding their inaugural Fundraising Gala Day on Sunday 27 August at George Thornton Reserve, View Street and all proceeds will be re-invested back into the club. Keep an eye out for further details to be released very soon. Please mention the 5v5 tournament to your kids so they can start forming their teams – Team size is a minimum of 5 and maximum of 7 and team numbers will be limited, so get in early. The tournament is open to all kids that are currently registered with the FFA under the GHFA so kids can invite friends from school to join their team – all Redbacks players will have an FFA number so please ask your Team Manager if you’re unsure of it. The Super League squad and coaches would like to invite you to take part in their second and final training clinic for the season! They hope to continue to inspire the younger members of our Club to set their sights on becoming Super League players themselves and continue to love football. If you missed out on the last clinic, don’t miss this one! The kids had an awesome time bonding with the players and coaches. If your kids attended the last one, you will know how much fun they had and Super League have even more drills and new games this time round. The invitation is also extended to our girls teams. Please come along and join the festivities. RSVP – please let your Coach/Manager know asap if you would like to attend. After training with the Super League, why not head down and support them at Waterloo Park on Saturday 22 July at 1pm (Reserve grade) and at 3pm (First grade) when they take on Macquarie Dragons FC. 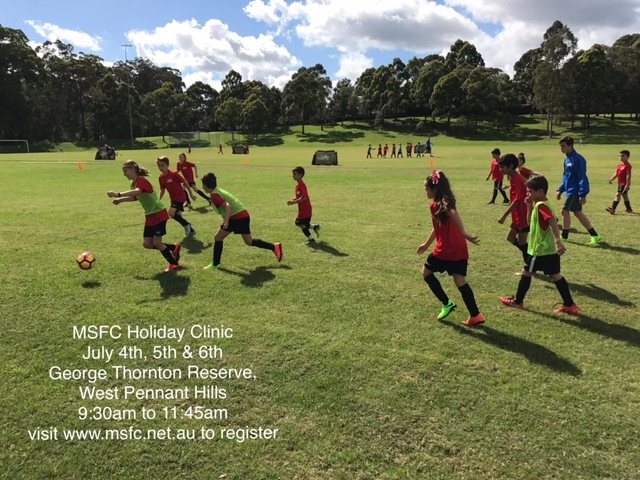 MSFC will be hosting another holiday clinic in July. We aim to deliver a quality program in a fun environment so each and every player can get the most out of the 3 days! Current members of the academy can use their credit for any cancelled session towards payment for the clinic. 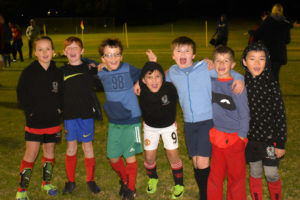 During the first week of winter and on a bitterly cold Tuesday evening, our Minis and Junior players were treated to the first in a series of skills acquisition evenings from our Super League squad. More than 70 Minis kicked off the evening rotating through multiple stations and drills, showcasing their skills and being taught new ones from the super league players that manned each station. The enthusiasm and excitement from our Minis was heart-warming. Head Super League Coach, Nick Cesarone, then led 50 of our Juniors through their customised session. Some special skills were on display by the Juniors, acknowledged through shouts of admiration from Nick and Mitz, the First-Grade Captain. Techniques were refined, taught and knowledge passed on from seasoned Super League players. The last drill of the evening included a penalty shoot-out competition for the whole squad, which was won by unanimous decision by young Ari Kum, the superstar from the Under 10 Yellow team. Congratulations to our Super League players and to coaches, Nick Cesarone and Sam Willoughby as well as our Minis coordinator, Mick Reynolds and Juniors coordinator, Michele Cairns for helping to organise the event. A quick reminder that the Super League squad and coaches have invited you to take part in a special training clinic run by them! The Super League squad and coaches will run fun drills and games and hope to inspire the younger members of our Club to set their sights on becoming Super League players themselves and continue to love football. RSVP – please let your Coach/Manager know asap if you would like to attend so they can plan out activities. 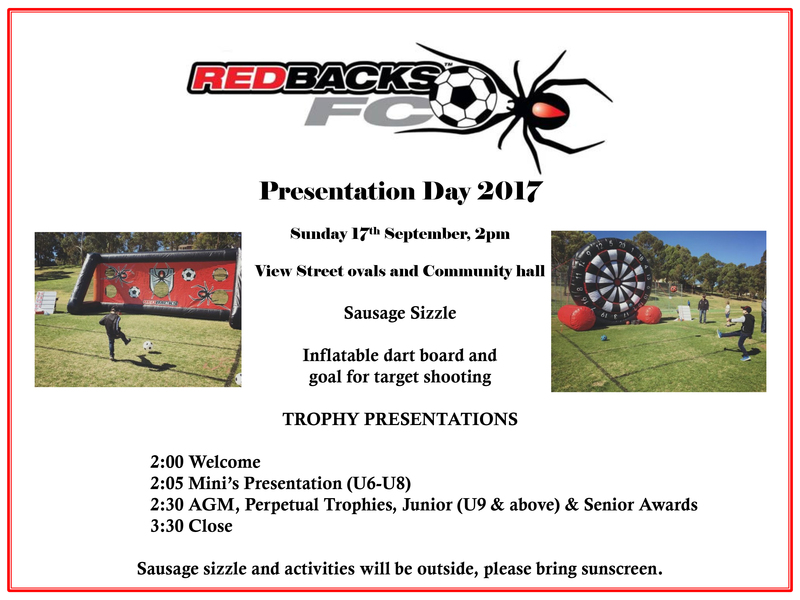 BBQ – we will have a sausage sizzle going on the night for our hungry Redbacks. After training with the Super League, why not come down and support them at View Street on Monday 12 June at 1pm (Reserve grade) and at 3pm (First grade) when they take on Thornleigh SC. 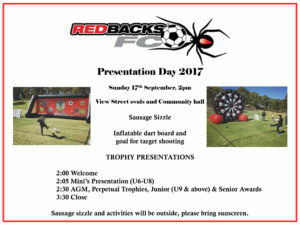 We would love to see lots of Mini and Junior Redbacks down at View Street next week but understand we have not given you much notice. Not to worry if you can’t make it this time, Super League are planning another clinic towards the end of the season. No more texting results and emailing match reports! One of our core new features is the simplification of the recording of match results and reports. Just access the Match Reports Page and fill in the simple form, upload a photo (optional) and submit. An email will be automatically sent to your age-coordinator, who will validate the details and publish to the website.